FitView Get Your Move On! FitView: Get Your Move On! On May 5th Rina’s Run reincarnates into Ripon’s Run! Join us for the inaugural race of Ripon’s Run at Ripon’s High School Stadium. Keeping the vibe and the excitement of Rina’s Run was one of Mike Mason’s, the race directors, primary goals along with adding a new feeling, a Ripon, Manteca & Modesto Moves Training healthy active lifestyle. “Moves Training is a non-profit training club that trains in your local community for a healthy active lifestyle by walking, running, or rolling from start to finish.” The pluses of this type of fitness club versus any other are that their certified RRCA coaches will formally train you for a 5K, 10K, Half and full Marathons to help you to not only finish your race but also to keep you injury free. Their motto is “Together we will keep each other moving” Ripon’s Run will feature a Half Marathon, Quarter Marathon & 5K. Huge cash prizes are up for grabs for the overall male /female &/or 40+Master division. $500.00 for setting a new course record, (Male 1:08, Female 1:18) $200 for Half Marathon, $100 for Quarter Marathon, $50 for 5K. 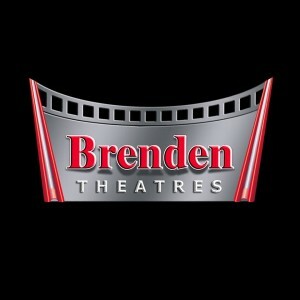 “Only one cash prize per winner – no double dipping for cash prizes. Double dipping for overall plaques and divisional awards allowed.” All races will include a finishers medal at the finish line & the Half Marathon Finisher Medal is a whopping 5.5 inches large! Ripon’s Run Tech Racing shirts will also be in your racing goodie bag along with a variety of other goodies. Another tasty plus for this race is that they will be having a Nacho Bar & offer three ways to get in. 1. Take a Selfie with one of the course/mile markers signs, 2. Wear Brooks shoes, or 3. Wear a Moves Training Shirt. Ripon’s Run will also have family fun games provided along with post-race refreshments, raffle prizes and music and Entertainment from your silly fun DJ in Fitness & your Modesto View Fitness Editor, The Quake Mobile DJ. For more information on Ripon’s Run 2018 or Moves Training healthy active lifestyle club, please log onto the links below. 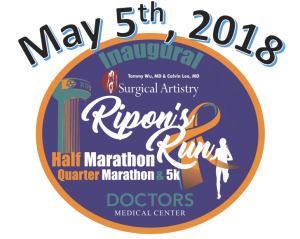 Ripon’s Run 2018 Presented by Surgical Artistry & Doctors Medical Center.